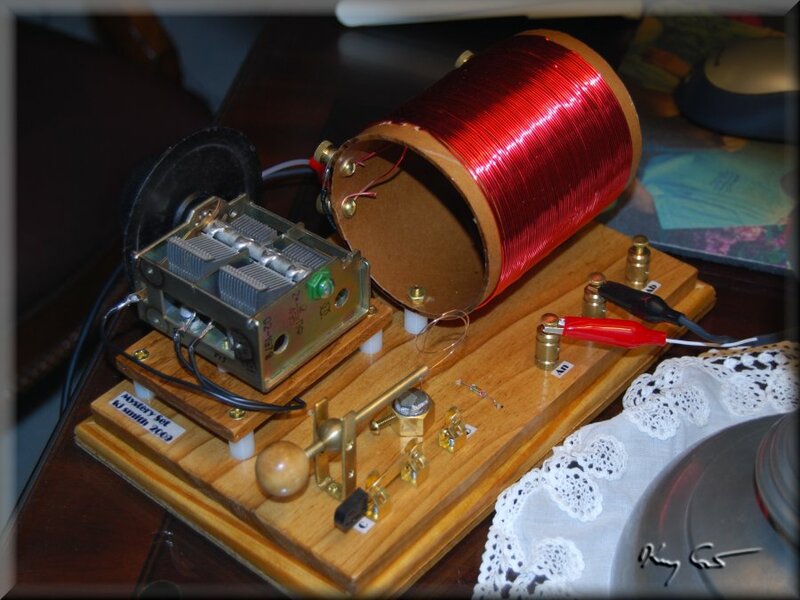 Having made the Dunwoody and experienced the thrill of listening to the local broadcasts on a radio of my own, unpowered save for what the stations themselves provide, I was thoroughly hooked on crystal radio. I hit the web for all I could find, which is considerable. My many thanks to all of you who have provided such useful and informative pages. 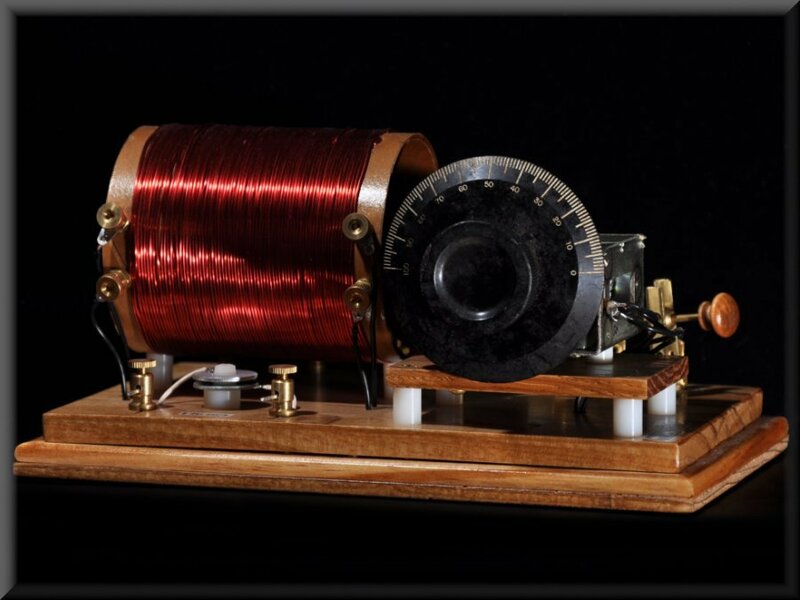 I categorize my effort along two axes, 1) finding and reading sites with background theory and advice on crystal radio, and 2) sites of crystal radio builders to know what is possible and find inspiration. I was determined to produce a set of my own from scratch. Of all the possibilities, and there are SO MANY, I soon settled on the Mystery Set as an interesting and challenging goal. I have the impression that many, perhaps most of the experienced builders who make their presence felt on the web have built this, or modifications of this set. A worthy place to start, worthy company. My intent, after studying so many variations of this set was to settle on the original set as published in the 1932 Brisbane Sunday Mail. If I can do well, then only can I consider modifications. 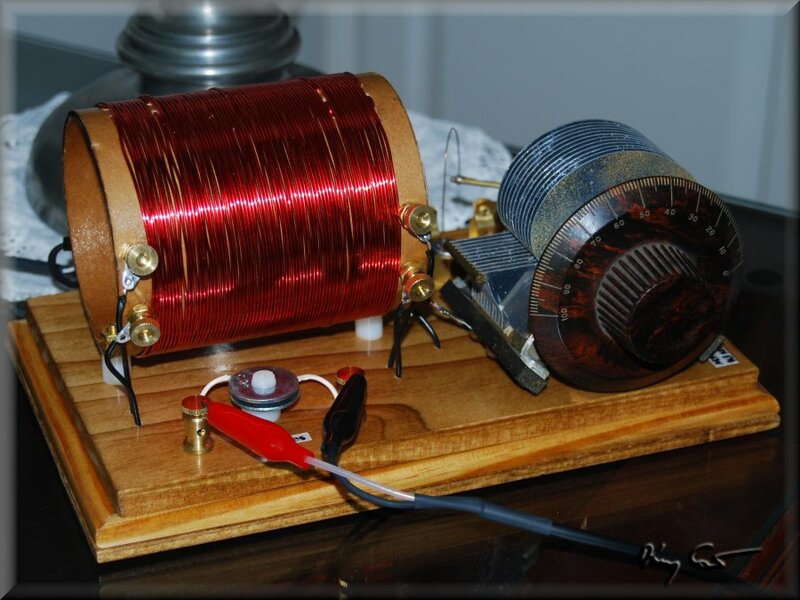 My plan was to take the basic circuit, but otherwise use my own forms and wire, calculating appropriate inductor dimentions and winding specific for my needs. 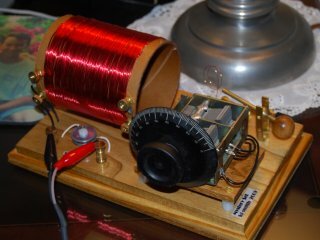 I sought a square coil with large dimentions, 8cm mailing tube wound with 18 AWG magnet wire, switchable detector between a diode and homebrew, and a lovely vintage 500pF cap, all displayed on a breadboard box with wireing hidden inside. The risk here was inexperience and it certainly came home! 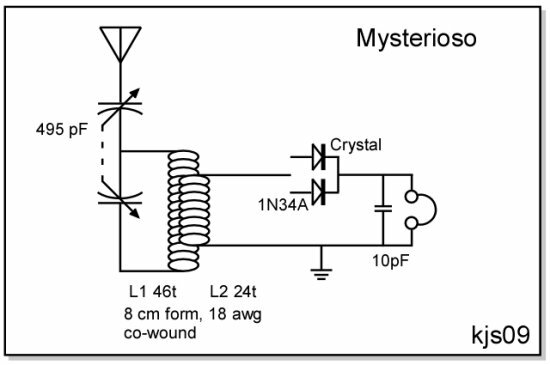 My 18 AWG wire turns per inch were rather different from values assumed in the "Professor Coyle" spreadsheet, both because the sheet assumes bare wire and because my ability to close wind is not that great! My first attempt was for experience, but not for getting a useful coil. Rethinking and adjusting allowed success, almost, on the second attempt and I got 46 out of a planned 48 turns on the main coil. Assembly was difficult but in the end I had a lovely set that wouldn't bring in anything! Well, almost nothing, some weak interfering stations at the cap's full-open position. My first photo is of this incarnation. The following is a final schematic of the set and photos of the set as it exists. I listen to it most evenings as I work. Performance summary for the radio. My Mystery set, despite initial mis-calculations on the coil winding specs, turns out to be a fair performer. 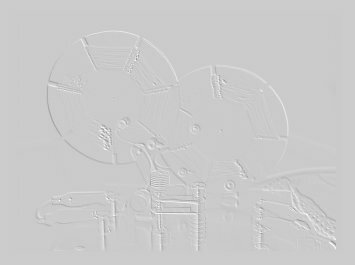 the bandwidth around a nominal 1100Khz is 43Khz giving a set Q of 26. This result is superior to both my DeForest and my kit Dunwoody, not bad for a first try! Sensitivity comes in at 19%, second after the DeForest. 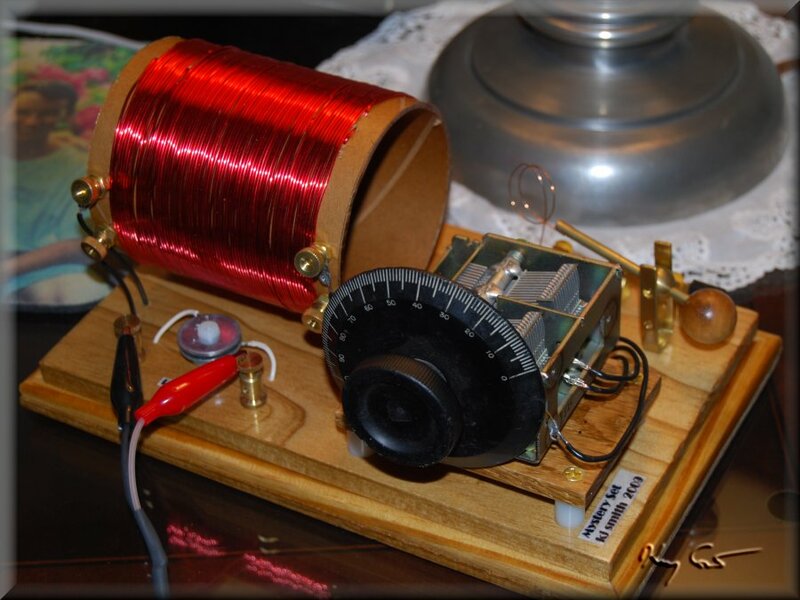 So, I consider this a successful entry into the world of scratch-built crystal radios.